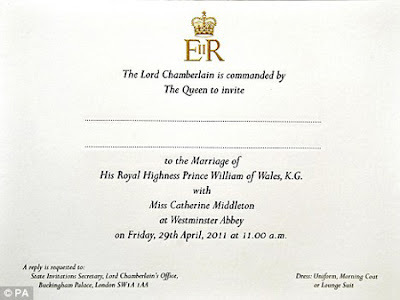 So this is what a wedding invite looks like? Hmm. 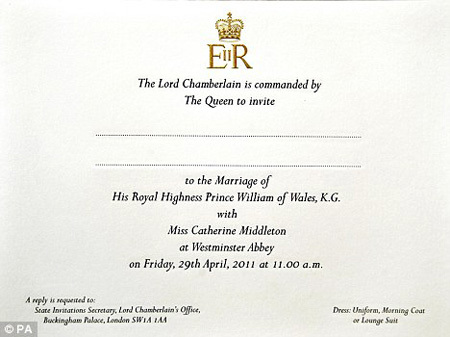 The Royal family sent out theses invites, emblazoned with Queen Elizabeth’s insignia to 1,900 people, according to People.com.